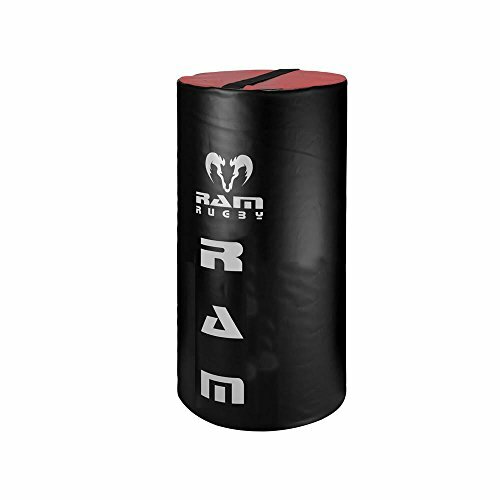 The Ram Rugby Half-Height Tackle Bag is an advanced piece of rugby and football training equipment; extremely useful for reaching the next level. Our ultra-durable tackle bags are designed to take the hardest hits from your biggest players and the high-density foam helps reduces fatigue from repeated impact. The usefulness of a half-height tackle bag is unmatched. This smaller easy to hold bag is great for pushing and blocking techniques, but it really shines when it comes to honing in perfect the perfect tackle. The short bag forces players to get low and tackle both effectively and safely. If you have any questions about this product by Ram Rugby, contact us by completing and submitting the form below. If you are looking for a specif part number, please include it with your message.